Outside of school, many children are active in different groups, such as summer camps, clubs, and activity groups. We understand that these needs are different than a school group’s needs, and we have programming designed especially for non-school groups. Our specially designed programs include hands-on museum learning and crafts to take home; as noted in their descriptions, certain programs also include an outdoor component (rain or shine!) All-day museum admission is included with the program price. Adult groups are also welcome to book a program or tour! Clubs, societies, special interest groups, friend groups, family groups and more. Each program and tour listed below has more information about their intended age groups. Note: Please arrive at least 15 minutes before your program time, so you can check in, visit the washrooms, and begin exploring the museum. Review our Booking Information and Submit a Booking Request. What’s the difference between a program and a tour? Programs are 75-minute bookings that are an activity-focused experience. Whale of a Tale and Sketching are examples of programs. Select a program if you want your experience centred around a specific activity facilitated by a museum interpreter. 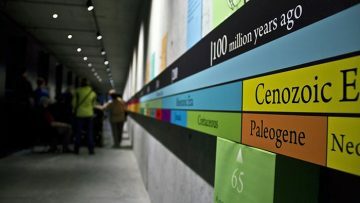 Tours are 60-minute standing and walking experiences focused on the stories behind the museum’s exhibits and displays. Extreme Adaptations and What Is Biodiversity? are examples of tours. Select a tour if you want your experience centred around exploring the museum with a museum interpreter. Explore the museum’s six collections at your own pace and with your own focus. Our collections include fungi, moss, plants, marine invertebrates, mammals, birds, reptiles, fishes, insects, and more! Teachers are welcome to design and lead their own lessons or to take advantage of the museum’s ongoing and featured activities. This type of visit is appropriate for all grades and most group sizes. Self-led visits are available Tuesday through Sunday throughout the year. Many of our Educator Resources can support your visit. Life is diverse, exciting, and incredibly beautiful. 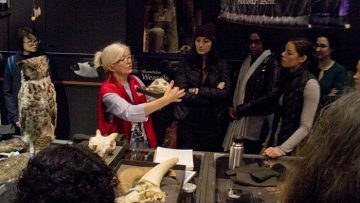 During this program, your class will have the opportunity to touch and observe museum specimens while practicing sketching and drawing skills. We will pull out specimens and stories focused on BC Biodiversity, including familiar neighbours from the lower mainland. 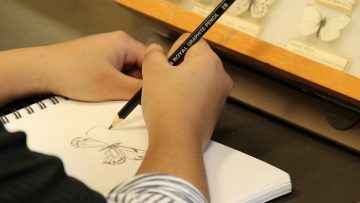 There is no need to bring drawing materials, but if your class has a current sketching practice, please encourage them to bring sketching pads, pencils, and other materials that they wish to work with. If you bring in paper or pads, ensure that students have sufficient room to make many sketches on blank paper. Let us know your class’ comfort level with sketching – all levels are welcome! Please review the museum’s policy on artists in the museum for more information. We suggest using a scavenger hunt before or after your program to help students explore the museum in a guided way. Please visit our Educator Resources page to download these materials. Do you have what it takes to survive as a blue whale? Dive into the world of whales to discover more about their amazing lives and the intricate interconnections of the ocean’s food web. This program is designed for extra-curricular children’s groups. Concepts of biodiversity, arts, and/or social skills will be explored in a fun, welcoming, and positive environment. We appreciate group leaders, volunteers, and chaperones taking an active supporting role in this program. This program may have an outdoor element. Please dress for the weather. How well do you know your biodiversity neighbours? 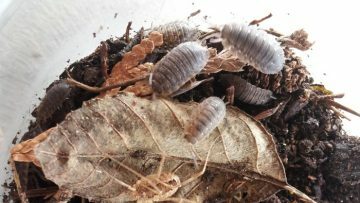 Test your knowledge of common urban animals and use real entomology collecting techniques to search for incredible organisms that live in your backyard. Are you bonkers for birds? Learn the basics of bird watching by discovering how body shape, colouration, behaviour and sound can be used to find out more about the birds around us. 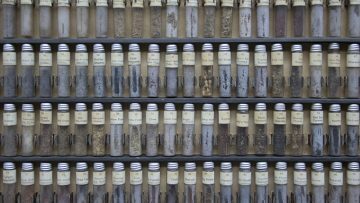 Dive deep into one of the six collections that make up the museum: Tetrapods, Marine Invertebrates, Herbarium, Entomology, Fish, or Fossils. 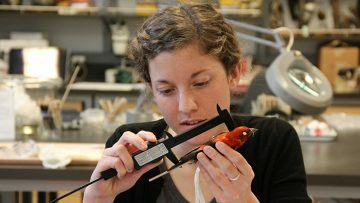 Discover stories about BC species, research, and how organisms in the collection of your choice relate to others. 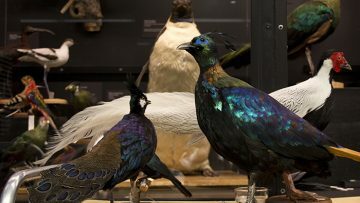 This introductory tour will teach you about the different specimens in the collection, along with stories about the people that have contributed to it. 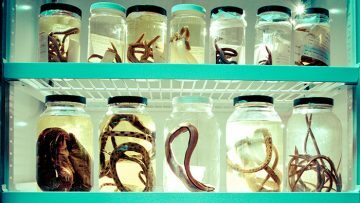 After a brief tour, your group will head to the Discovery Lab to get hands-on with specimens from the collection. The diversity of life encompass the unfathomably small and incredibly giant, along with everything in between. Size isn’t the only extreme: every organism on our planet has adapted through natural selection to survive and exploit the world around it. There are extreme and fascinating evolutionary examples from every branch on the tree of life. This tour will satisfy your extreme curiosity about the world around you. Biodiversity can be defined as the variety of life, but it is much more complex than that sounds. 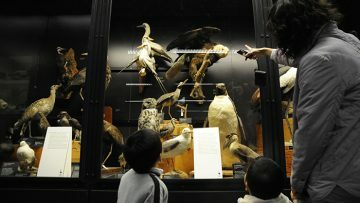 On this tour, explore the museum as you touch authentic specimens and hear a variety of stories that highlight what biodiversity is and what makes it so fascinating. Through maintenance and preservation of ecosystems, different species can coexist. 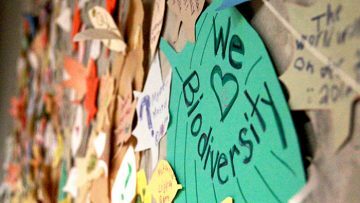 Students will understand the relationships between biodiversity and mechanisms that organisms use to thrive in different environments. Stories focus on the drama of biodiversity, how species change over time (evolution), the human link to biodiversity, and biodiversity of the past and future. Groups requiring specific or technical information regarding a collection may request a private tour with a collection curator. Curator tours are subject to curator availability and additional fees. Groups looking for more general information on a specific collection should request a Museum Collection Tour. Evolution explains how the vast biodiversity around us originated and is arguably the most important theory at the heart of modern-day biology. On this thought-provoking tour, hear stories that reveal how our understanding of biodiversity has changed over time and what these changes tell us about our own heritage. Learn how organisms have adapted to various environments over time. Topics include natural selection and the Earth’s timeline. 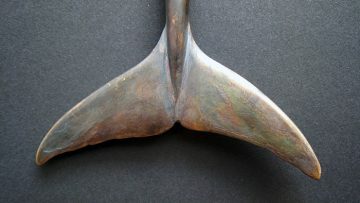 Students will be presented with specimens and exhibits, so they can observe features that have helped species survive. Students will think about patterns of evolution and evolutionary change. Stories focus on biodiversity of the past, how species change and survive over time, evolution in the modern world, and what we know about relationships among living things – including how humans fit in. We have learned so much about our world in recent times, yet so much remains to be discovered. On this tour, expand your knowledge of biodiversity and discover how UBC researchers are helping to solve some modern-day mysteries of the natural world. Stories highlight microscopic diversity, how species evolve, how organisms interact in ecosystems, and how our actions can affect future biodiversity.